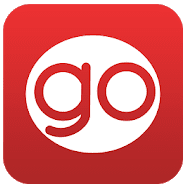 App developed for Record Go, leader company in the low cost car rental at Majorca, Malaga and Alicante airports. It offers a fast, comfortable and safe way of booking their updated fleet from the smartphone. The Record Go app provides the possibility of accessing, modifying or cancelling your reservation for free, wherever you are. In “My Routes” you can save points of interest with photos and explanations which you can share on social networks.